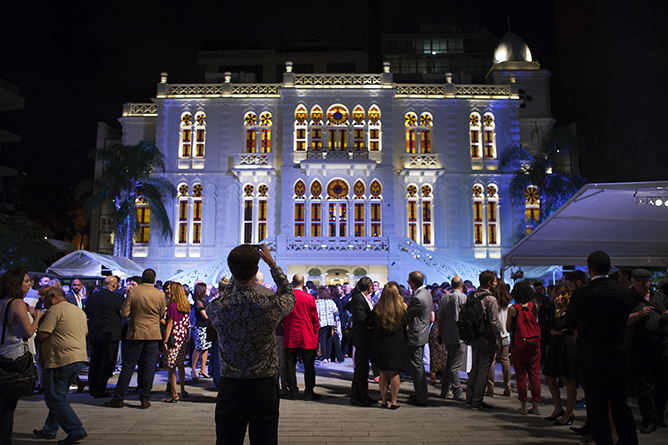 The Museum's grand reopening is an immediate spectacle. The anticipated reopening of Sursock Museum – after it had closed its doors in 2008 for major expansion works – finally took place yesterday. The guests were treated to a pleasant evening in the Museum garden and the four exhibitions in the Museum's new and renovated spaces. It was also the first public exposure of own work for Sursock, from the revisited identity to the signage, communication and exhibition design. With so many reasons to celebrate, it was quite the night.